Latest O'Keefe Video Focuses On Soros' Donations To NPR : The Two-Way The conservative political activist's claim to have revealed donations for the first time is belied by press releases and public records. "Part III" of conservative activist James O'Keefe's secretly recorded conversations with NPR executives is now online. The news, O'Keefe says in the introduction, is that "the public will learn for the first time that George Soros' Open Society Foundation has donated to NPR in the past," and well before the much-publicized $1.8 million grant that Soros' Open Society Foundations gave NPR last year to fund its "Impact of Government" reporting effort. Soros, a billionaire who has funded many liberal political causes in recent years, is a favorite target of conservative activists. His foundation's $1.8 million donation is funding an initiative that will put reporters at NPR member stations across the country to focus on covering state governments. The foundation has no role in shaping NPR's coverage. This latest O'Keefe production features another secretly recorded telephone conversation between Betsy Liley, NPR's senior director of institutional giving, and a man posing as "Ibrahim Kasaam" of what was later revealed to be the fictitious Muslim Education Action Center Trust. "Kasaam" is actually two men working with O'Keefe on his "Project Veritas." Liley is now on administrative leave. NPR has previously said that in speaking with "Kasaam," Liley was wrong to say that NPR could shield a gift from federal authorities. In fact, NPR reports all such donations to the IRS and charitable groups (such as O'Keefe's partner claimed to represent) also have to file reports with the IRS. In the new recording, which O'Keefe says was made on Feb. 28, Liley and "Kasaam" discuss whether the fictitious Muslim group would get any "on-air credit" for a donation. "Kasaam" says the group did not want such recognition. Liley says that other organizations have asked in the past not to be recognized on the air for their donations. In the new recording they do not go on to discuss the fact that the organization would have to be publicly identified in reports to the IRS. If you need to get up to speed on what O'Keefe and his partners have been posting about NPR and the effect his undercover work has had (including the ousting of NPR CEO Vivian Schiller by the organization's board of directors), we've written extensively here, here and here. 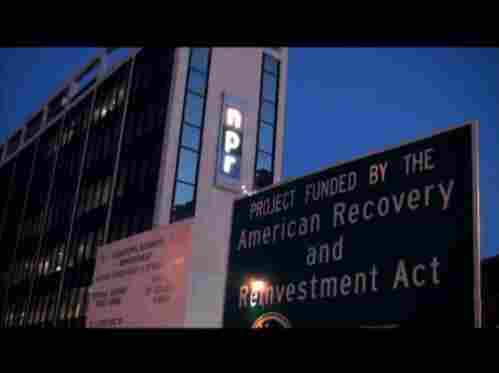 As in his previous reports, O'Keefe's online video includes a photo of NPR's Washington headquarters with a sign in the foreground that says "Project Funded by the American Recovery and Reinvestment Act" — a juxtaposition that appears to be aimed at reminding viewers that NPR gets some federal funds. 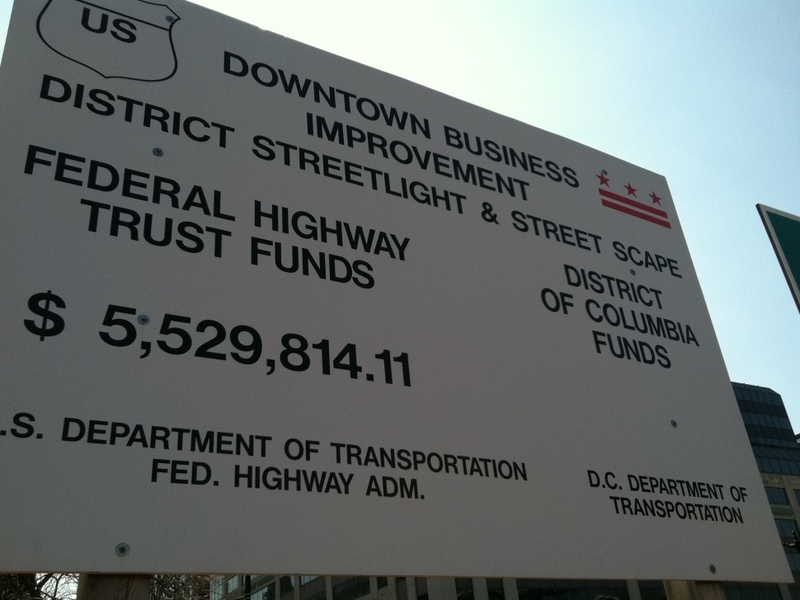 In fact, that sign is about a $5.5 million "streetlight and street scape" project that has nothing to do with NPR.